Welcome to HKB Wing Chun University! 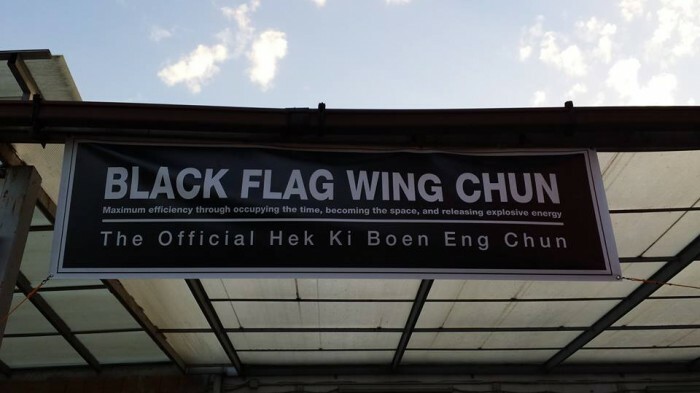 Become a Certified Teacher of Black Flag Wing Chun. Represent Hek Ki Boen in your city and help spread it to the world. By going through our teacher training courses you are helping preserve this ancient art by passing it down to others. When you become part of HKB, you become part of a global family. Can’t Find an HKB School in Your Area? Just because you can’t physically be in one of our locations, doesn’t mean you unable to learn the integral footwork, movement, concepts, and internal power of HKB Wing Chun. Enroll in our distance learning courses and take the first step to becoming a seasoned martial artist. Click here to find out if there is an HKB school in your area. If so, we’ll tell you how to get connected with your local teacher and even provide you with some free private training to feel the power of Black Flag for yourself. For instructional books, DVDs, and more, check out our online store where you can find a wealth of knowledge to improve and advance your study of HKB Wing Chun.